Thinking about choosing a single implant crown so you can take care of your missing tooth? Finding the answer to your missing tooth problem is definitely necessary. Otherwise, you are likely to experience even more dental issues. When you are missing one of your teeth, it can get in the way of your ability to feel confident about your smile, as well as being able to chew food properly. If you do not take care of your missing tooth problem in a timely manner, then it is likely that your jawbone will begin to deteriorate in that area. When someone loses a tooth and is looking for a tooth replacement option, dental implants are one of the more common treatment options selected. A dental implant functions like a natural tooth. The process of placing implants into a patient's mouth is surgical. An experienced dentist will attach the implant to the patient's jawbone, which acts just like a natural tooth’s root and helps keep it from deteriorating. Once the dental implant heals, a dental crown is placed over the implant, which means it is now able to look and act like a natural tooth. A dental crown refers to the replacement tooth placed over the dental implant. This single implant crown will be specifically created for each patient, so it looks natural and easily blends in with the rest of the teeth. This means special attention will be given to making sure the crown’s shape, size and color look realistic, which allows the patient to smile with confidence. 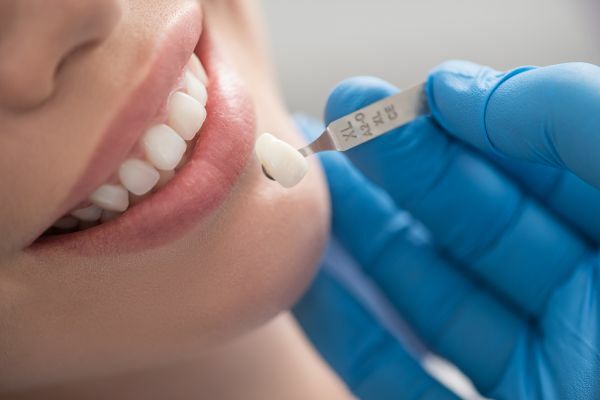 When dental implants and dental crowns are chosen as a tooth replacement option, the patient can expect improved dental function due to this long-lasting and natural aesthetic choice. Wondering if the single implant crown solution will be the one that works for you? If you are experiencing any type of dental issues, your oral health is in jeopardy. And good oral health is directly connected to good general health. If you are not quite sure if dental implants and crowns are the right choice and you have some questions, please do not hesitate to contact us so we can provide the answers you need to make a decision.